I love startups with an altruistic heart, companies that put purpose on par if not above profit. By any magnanimous measure, Benelab has a true heart of gold. This nonprofit corporation from Seattle is a web search engine that donates 100 percent of their revenue to a different charitable cause each month. Sound like the project of a wealthy entrepreneur looking to give something back? Not Benelab. The founder of this startup is Jack Kim, and he’s still in high school. So is the rest of his team as per the company’s no adult policy. After learning how to code HTML and build websites as a freshman, Kim was immediately drawn to the earning potential of search engines. 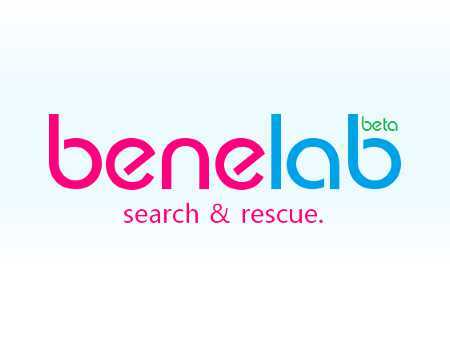 The first version of Benelab (Benesearch.com) brought in between $200 to $300 a month thanks to 2,000 repeat visitors. Kim attended a summer business program at Stanford, then decided to revamp his project and redouble his entrepreneurial efforts. Benelab relaunched routing searches through Bing, the engine it currently uses (Traffic had been going through Yahoo until recent problems. Check the site for updates). For every search through Benelab, it nows donates all of its revenues (about 2 cents per query) to unique causes. Benelab works with third-party advertisers and operates on a revenue-share model. The site had been seeing nearly 1,000 searches a day, totaling approximately 30,000 a month. Recent deserved press has doubled Benelab’s user base. The premise for Benelab isn’t complicated. As Kim will say, the mission is “to make philanthropy easy and more accessible.” Being high schoolers, the crew at Benelab faces normal bootstrapping challenges and then some. How many founders worry about passing AP exams in May while trying to vet charities? As it is with most teenage budgets, the crew of eight King’s High students deal with serious monetary hamstrings. They first mocked up the site in Microsoft Paint. Photoshop was beyond their initial reach. Being cash-strapped doesn’t daunt the Benelab team though. Instead of being intimidated, they’re embracing their struggles and enjoying the heightened attention that youth sometimes brings budding entrepreneurs. Today, they’ve managed to convert the everyday task of using search engines into a vehicle for social good. $330.00 to the Ronald McDonald House of Washington to help provide a “home away from home” for young cancer patients and their families. $340.00 to World Concern toward 4 hearing aids for hearing impaired children in developing countries. $210.00 and $130.35 to Vittana, to assist in funding educational micro-loans to students who want to attend college. The June effort sought to raise $400 to purchase and send 20 hand-powered LED lanterns to Peruvian middle-school students without access to electricity, enabling them to study longer. Benelab will partner with Changes for New Hope to help educate children in the Andes. Did I mention that Kim and his team are 17-years-old? Hard to predict what the Benelab project will evolve into given their age. Nevertheless, their story should already inspire hearts if not links to their search engine to open. Kim aspires to donate $100,000 before graduation. Here’s hoping he reaches this goal and that I’m witnessing the early beginning of the next Bill & Melinda Gates Foundation–if that’s what Kim’s heart proves to desire.